So here we go... another project. And a project it is. This particular car has some issues with it which is how I came in possession of it. What else would you expect? I get all the jems that other people give up on and for good reason too! 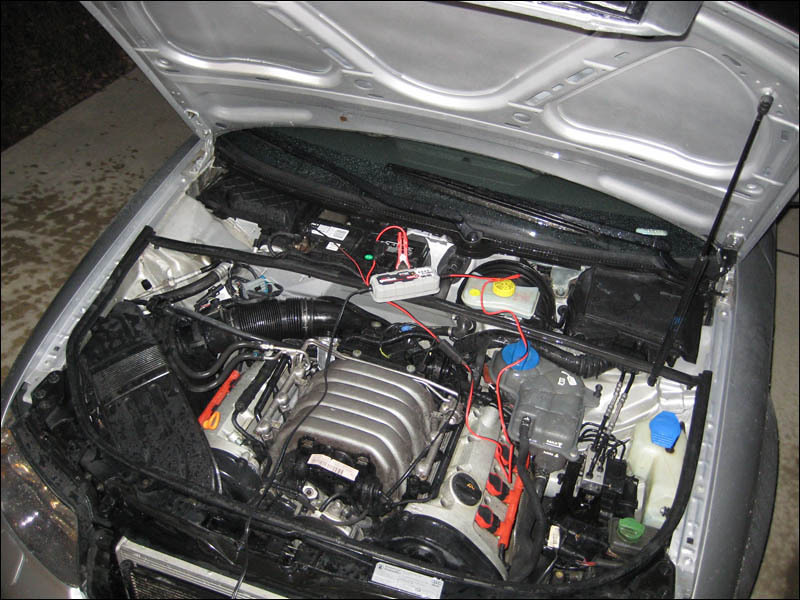 This A4 has some wiring issues which is my specialty. 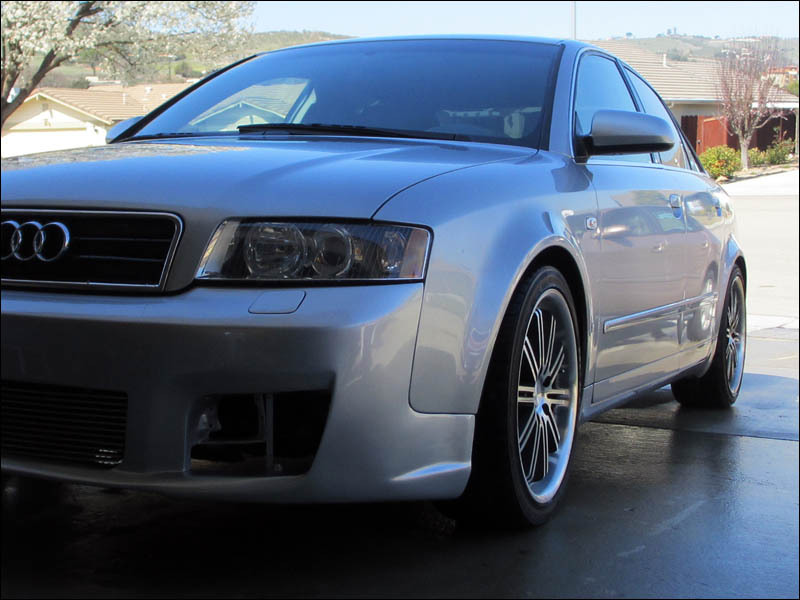 For the most part this Audi is in great shape and everyone that sees it asks me if I'm going to sell it. No way. It doesn't actually run well enough to pass smog just yet. It runs in limp mode which floods the engine with fuel. DO NOT drive this car or any other car in limp mode where the engine just goes to a fail safe mode where it just pumps fuel into the engine to keep it from leaning out so bad that the engine has a catastrophic failure. What happens sometimes is that people keep driving these cars with the super rich fuel mixture not fully combusting. The unburned fuel will then dirty up the catalytic converters and damage them enough that you will have to replace them. $$$$ Not good. Just park the car until you can take care of it so it won't get any worse. I would like to drive this car someday even. Last edited by Smithers; 06-13-2012 at 11:44 PM. So let's get started working on this A4. First I have to keep the battery charged up because it's a more expensive battery than usual. I wired up my trusty fully digital NOCO Genius battery charger to keep the charge topped off and conditioned. Ok the first big problem here is the quality of the wiring. 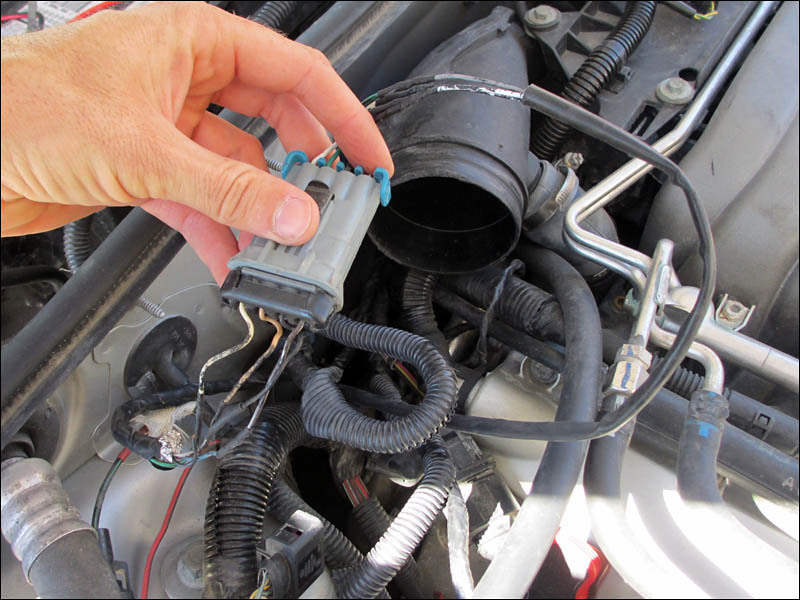 The o2 sensor wires were damaged and needed repair. This is what happened and it's wrong. 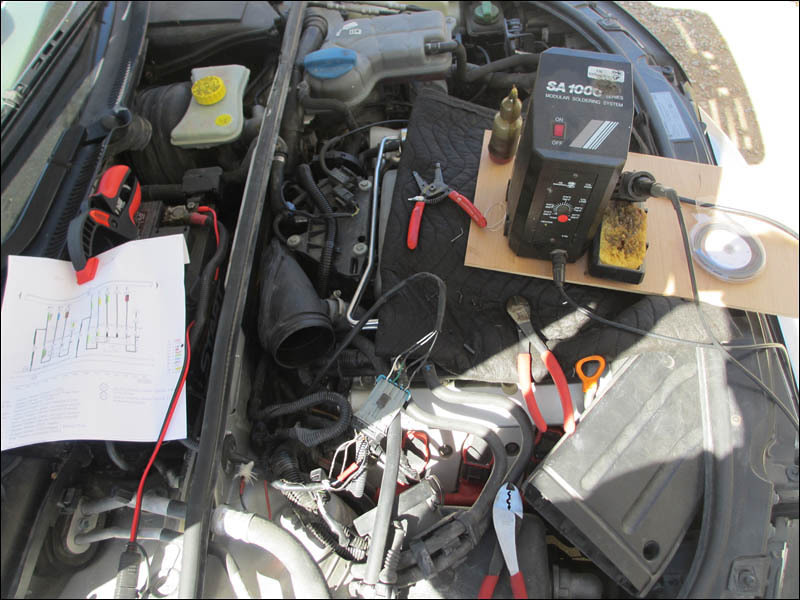 I pulled up the correct wiring diagram and got started. I just had to cut 4 of the wires on the connector and reconnect them. I pulled out the soldering station and got to work. Some heat shrink, flux and fresh stripped copper wire makes everything nice and clean. As with any wiring: don't be in a hurry, have a clean work area and try to get as much room to work around your wires as you can. 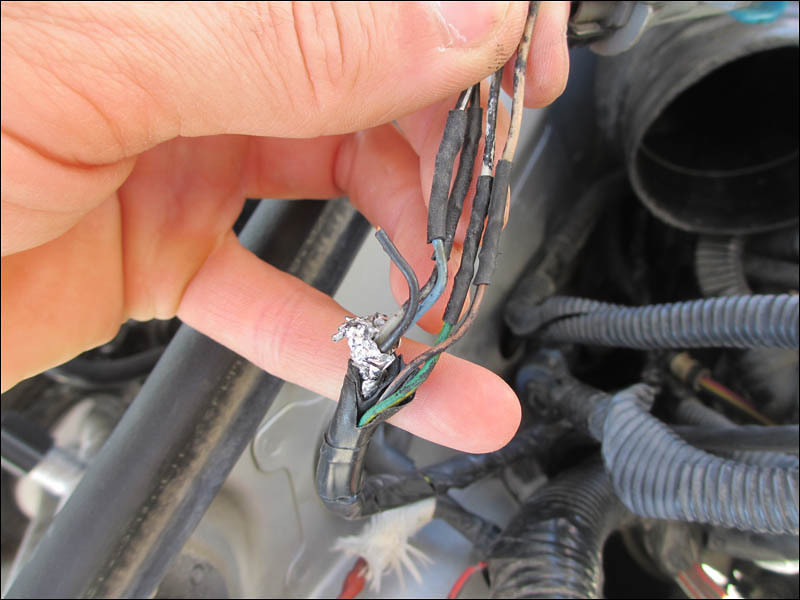 It's always hard to put the heat shrink on the wires before you connect them so try not to forget. Heat shrink beats out electrical tape any day. Especially if you are working on an Audi. We don't want to see any contractors electrical tape under this hood. And the final result. 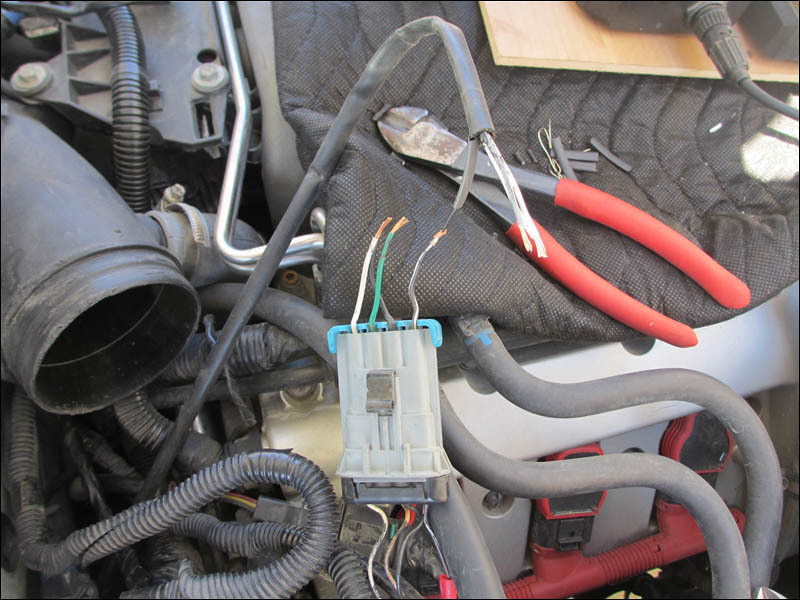 The Audi's electrical harness wires are actually going to the correct O2 sensor leads this time. That should help. Another issue I might have is some wires that flopped down and got heated up pretty badly on the exhuast. 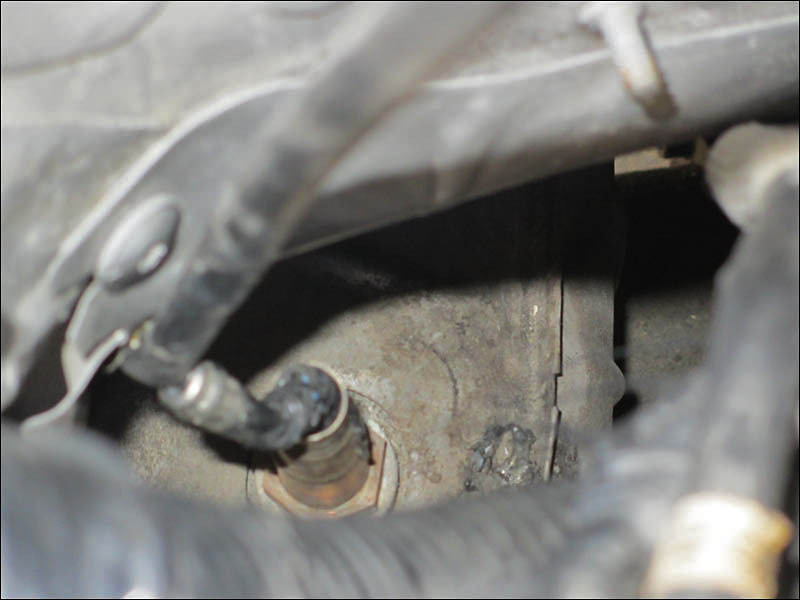 I pulled up the slack and zip tied it tight and up and away from the manifold. I'll assume that it's still a good sensor and move on to the next problem area. I can check the codes and the live data that streams from the code checking computers. They show live data of how the fuel mixture is looking and that did show me that the sensors were functioning. And here are the two codes that I have to sort out. 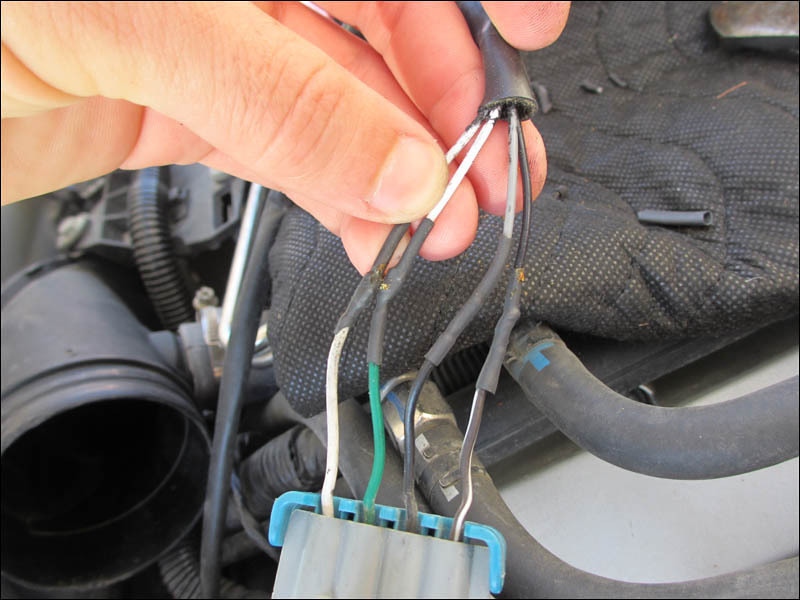 The first one is a P0118 Engine Coolant Temp Circuit - High Input. This doesn't mean that the temp is reading one way or another. The high input means it's faulty and out of range. 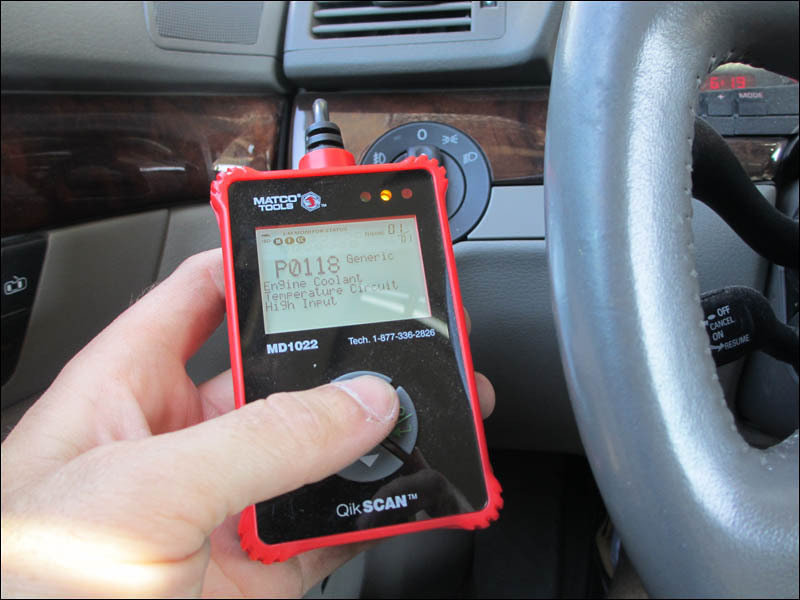 This is just a reading from the OBD2 system. The ECT sensor wires could actually be faulty or shorted so you should physically check and test your wires if you suspect damage. Then I also have a P0265 Cylinder 2 Injector - Circuit High. Once again this doesn't exactly mean a BAD injector. First check the wires and the connector. I've also seen fuel mixture codes be the result of exhuast leaks so just be careful of swapping out these expensive parts without fully checking out the big picture of what's going under our Audi's hood. I have solved a couple of engine problems on modern fuel injector motorcycles by cleaning the injectors. You can either have them sent off to a business that services injectors or you can use a fuel additive like Lucas Oil products fuel system treatment or Chevron Techron additive. These really help out the fuel injection systems in more way than one. 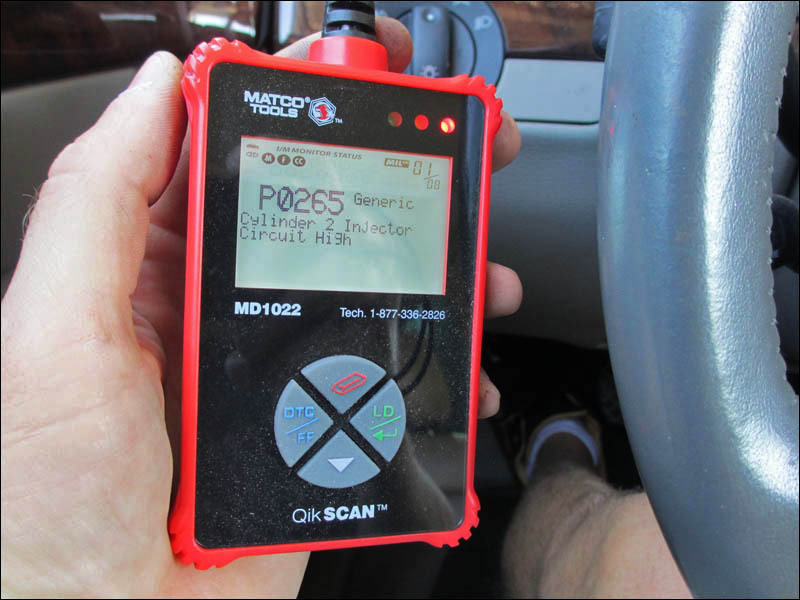 In my case I think I will change the ECT Engine Coolant Temp sensor to take care of the P0118 code and then move on to the P0265 code after I rescan the ECU for problems again. I'm not in a big hurry so I'll tackle these problems one at a time.